Hehe :) Been waiting so long for my extracted "serum" on my Taipei, Taiwan trip? Hmm :S Or maybe not?! And now.... Let the overview on my Taipei trip begin! 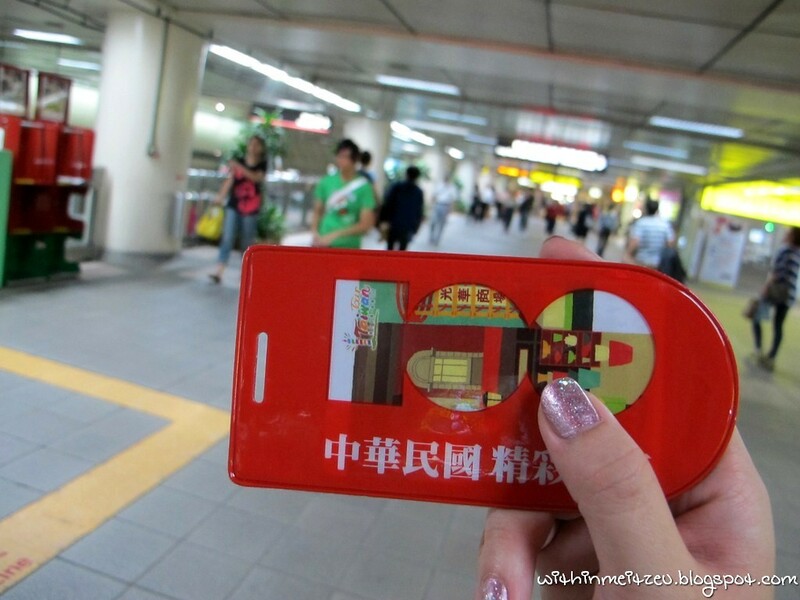 A must have Easycard in Taiwan, especially for tourists like us! It is like the card which we used in KL for the transportation services. 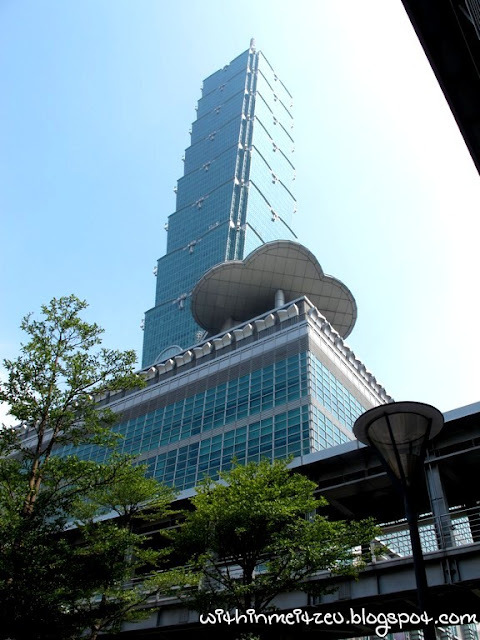 However, we only managed to use it during our trip in Taipei (4Ds3Ns) and not in Taichung (2Ds1N). Taiwan Easycard can be bought easily in Taiwan and we could buy it either from the Station or 7 Eleven! And the great thing about it, is WE CAN USE IT AS A DEBIT CARD in 7 Eleven and some other convenience stores too! Cheap and nice Hello Kitty facial masks, anyone? Or the famous instant noodles? Shoot! The noodles are so delicious! One of the famous old street located at north of Taipei. 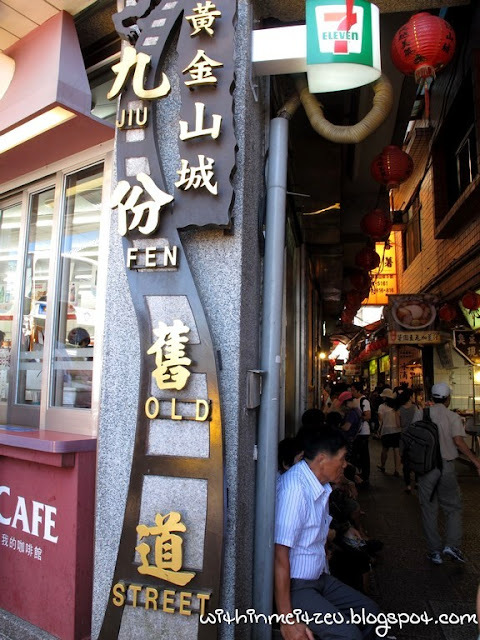 Experiencing the old streets and buildings, non the least the food/ snacks, some local handmade goodies and more. I like the feel in Jiu Fen, where the scenery is amazingly beautiful, experiencing different kind of culture and DO REMEMBER! Try to open your eyes widely while you are in the bus or any other transportation that you might use in the future to reach that beautiful, yet meaningful old street. Although we took quite a while to reach the destination by local public transportation (like I said before, do hire a van or a cab for your trip, it will ease your trip A LOT!) and what we had were laughing all the way in the trains and in the bus we're in, it sounds kind of silly whereby some of us were standing all the way from Rui Fang （瑞芳） to Jiu Fen （九份） in the huge public bus. OMG! We need some "Kung Fu" basic/ stunts inside the bus while it was like "drifting" toward those hills and narrow roads before we reached our destination. *Scary* Hai yah!! 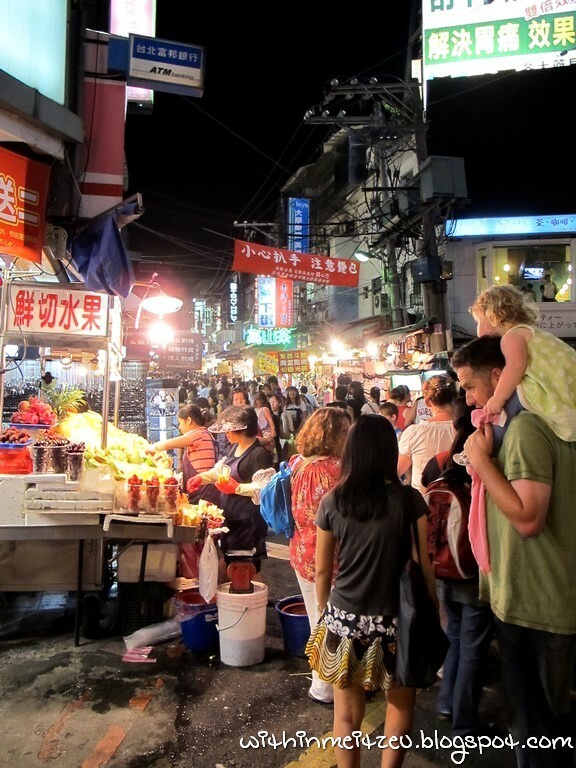 One of the famous night market in Taiwan and a really HUGE one (I will be lost if I'm walking alone at the night market)! Crowded with tourists and locals there. I didn't really enjoy walking for hours in that hot weather but shopaholic Ice Hippo's (one of the mascot) owner could shop for more than 4 hours for shopping without dinner!!!!!!!!!!!! THAT WAS NUTS CRAZY! 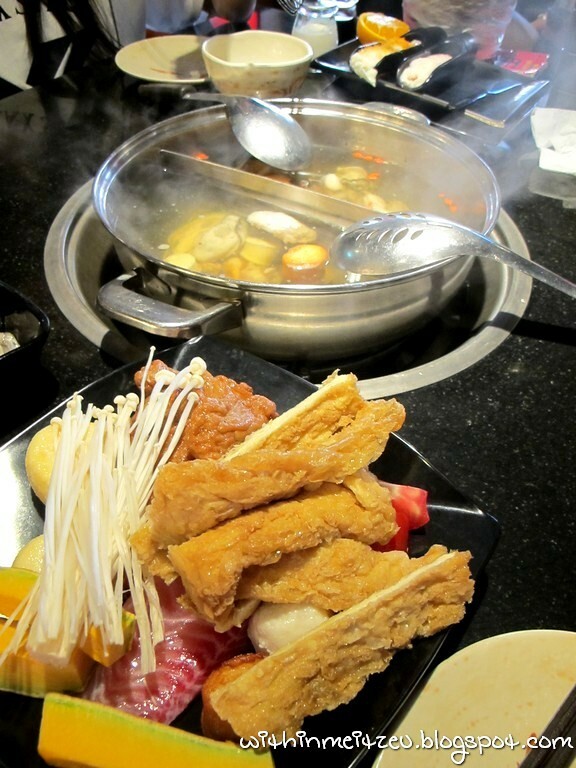 Besides, various eateries for us to choose and as for shopaholics, all sorts of cheap and reasonable pricing with average and above average quality goods can be found over there too! With the patient, for sure will found something useless at Shilin Night Market. 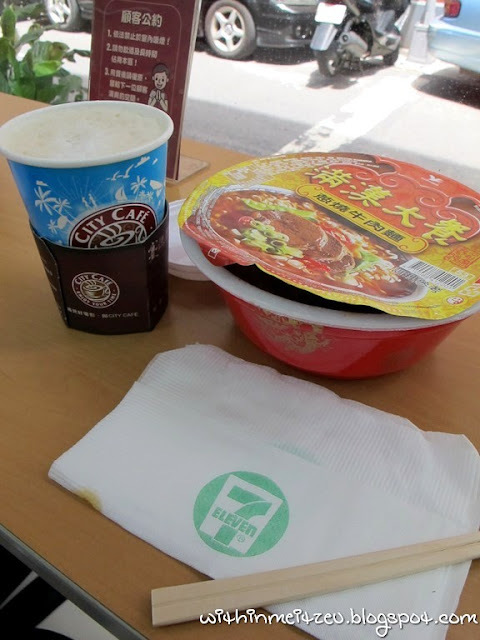 With the influence of Taiwan movie series, proudly say I actually went for my breakfast at the legendary Taiwan 7 Eleven (which I was bugging meatball for many times before we reached Taiwan), and it was FREAKING AWESOME with all sorts of instant noodles, sandwich, coffees, hotdogs (served HOT) and MORE! And you know what? 7 out of 10 of us visited 7 Eleven everyday for goodies! 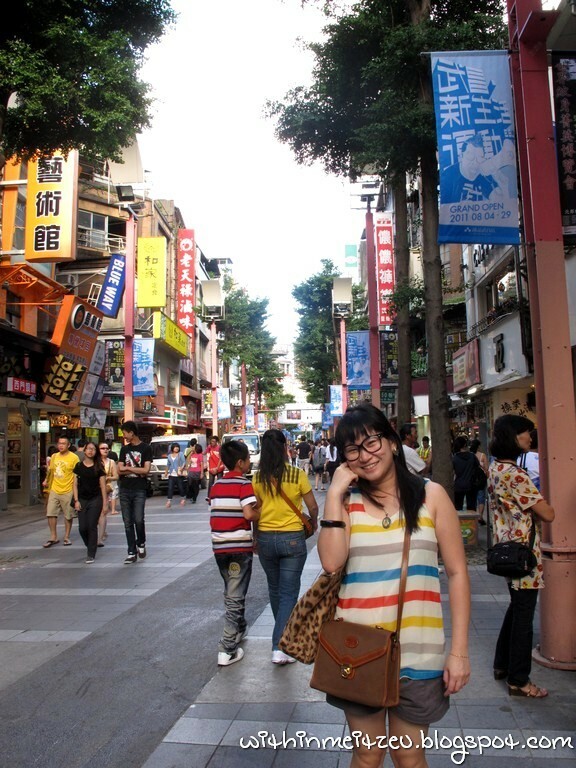 :) This is what I like about Taipei, shopping mall are there and the streets look nice too. We reached there around 1.20pm and the crowd were still okay. 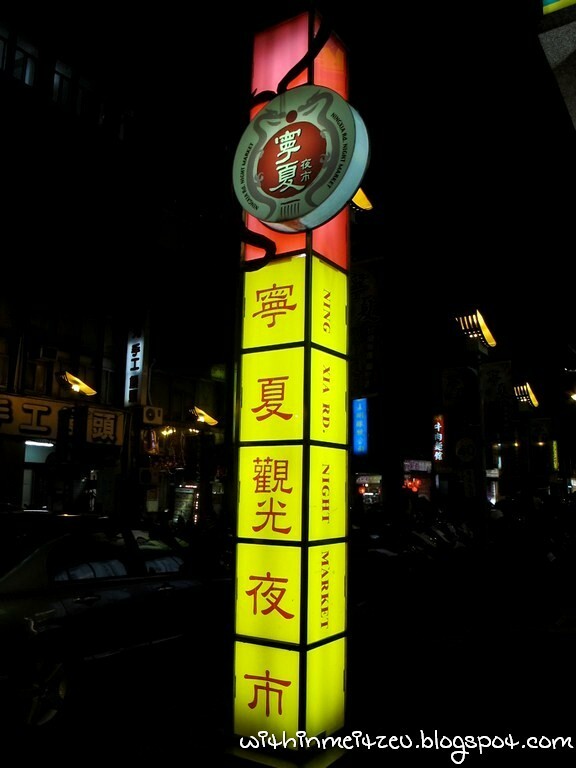 Xi Men Ding is a nice place for tourists and youngsters for shopping and extraordinary delicacies temptation. WTF! I didn't made it to have my drink at Taiwan's STARBUCKS!! Too full to drink one, I must reach my target of having at least one grande coffee from Starbucks in any country that I will be visiting in the future from now onwards! One of the famous dessert in Taiwan which also well known by many living and travel channels and one of it was from Japan! 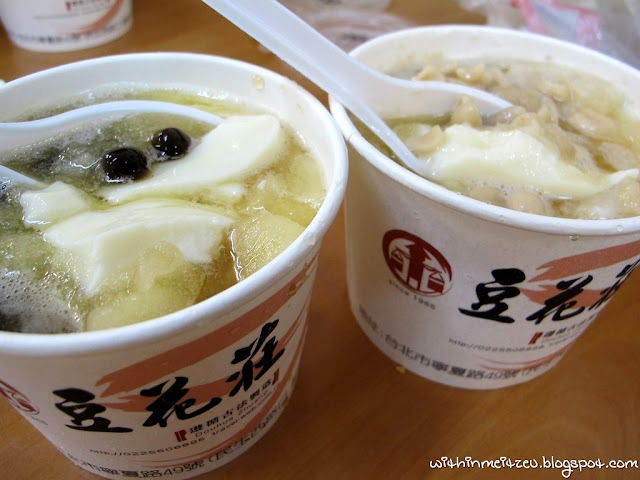 Their cold bean curd really taste great! I can't recall who told us that Cold Stone is a famous ice cream brand in Taiwan and it is just few steps away from our hotel! Must try must try! 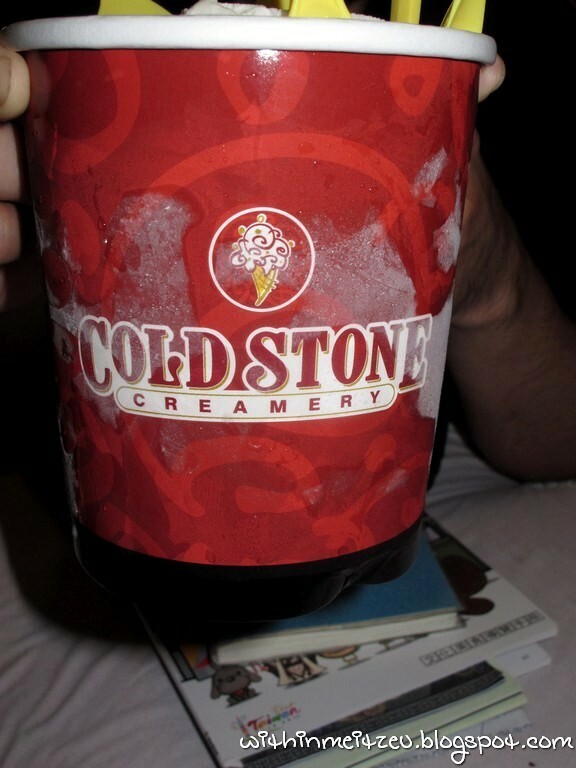 Aww~ I miss that mouth watering ice cream. One second thought, I am planning for a second visit to Taipei, this time will be for scenery trip (NOT shopping) and to taste those recommended dessert and delicacies over there! 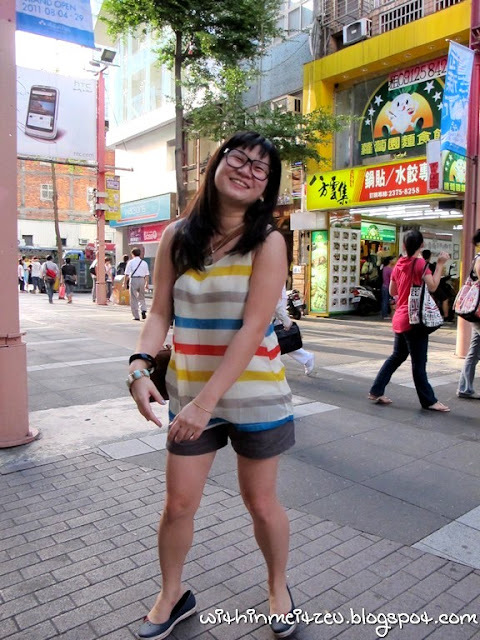 Arrgghh** I haven't explore the whole Taipei YET! 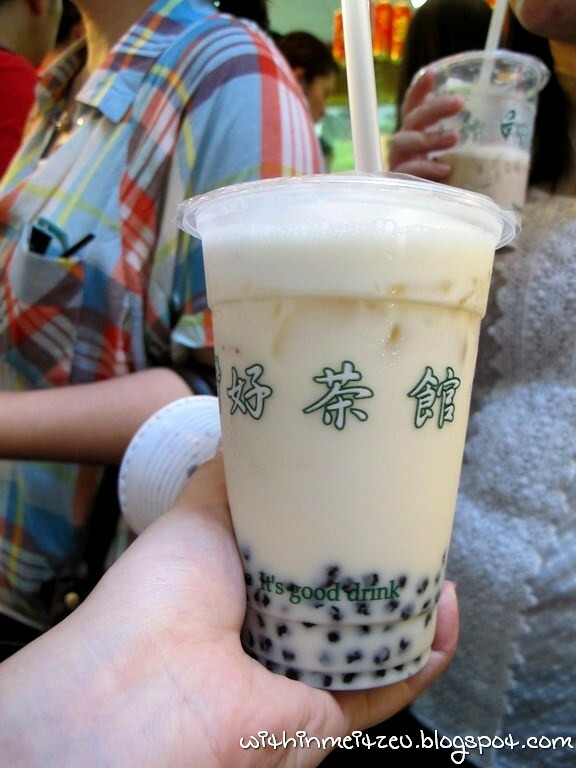 Hmmmm Taiwan. The closest I've been to Taiwan stuff is watching a Taiwan drama every night on Singapore channel hahaaa. Over 4 hours without dinner? Wow. Amazing. Me, I would prioritise tummy first. Considering the smell from all the foods around hahaa. She can tahan oo, even though can see so many food. I like cold bean turt too. But in your pic, the one on the right is what mix? Different from the left kan.
you just came back and you planning on 2nd trip already.. i havent even got my first time.. lol..
Mei Tzeu, I also plan to go Taiwan again and this time, backpacking! No more follow organised tour guide! 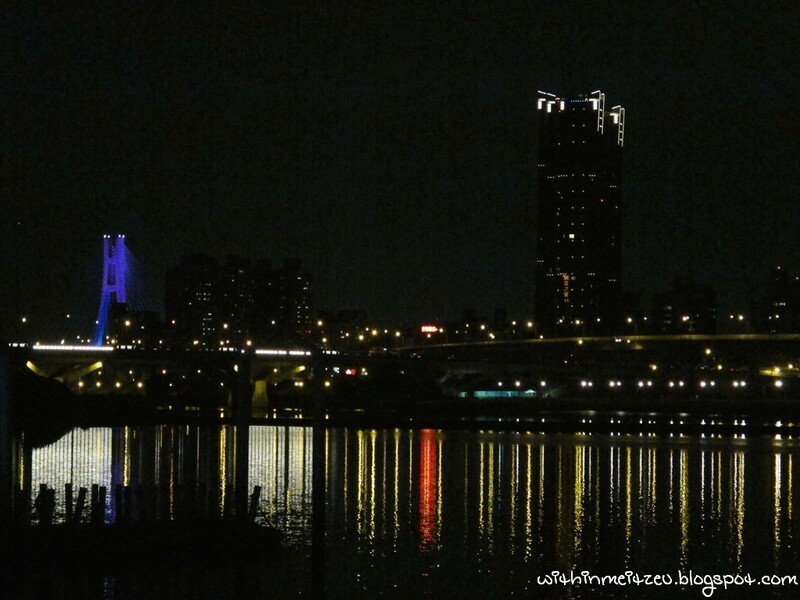 I have a friend who comes from Taipei saying great things about it. Now with these photos and review, I can see exactly why! It seems you've had a great time! 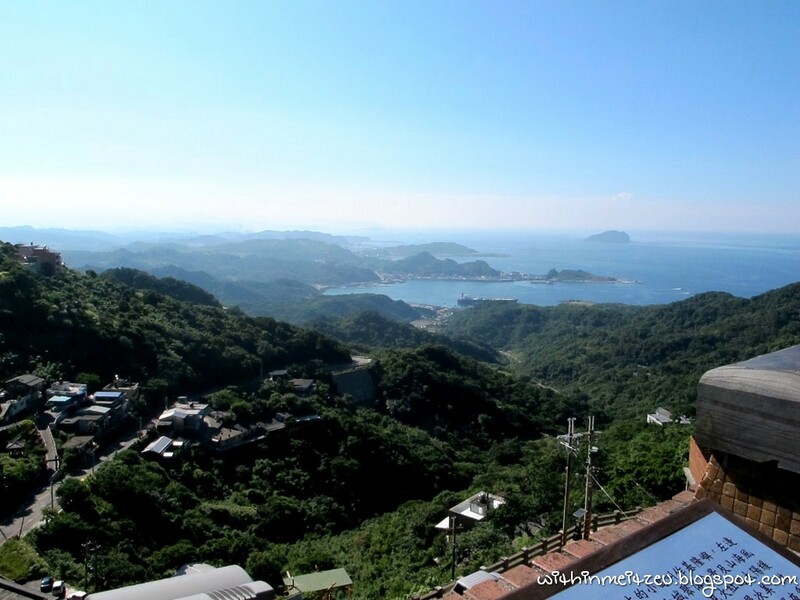 yo.. did u went to taipei zoo or 猫空？i think it's nice there too!